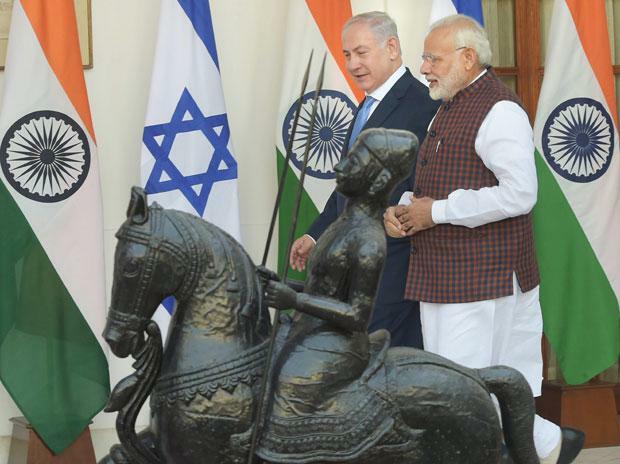 Israeli National Security Adviser Meir Ben-Shabbat visited India earlier this week and met Prime Minister Narendra Modi to discuss issues related to bilateral relations, including the advancing of security deals, according to an official statement here. NSA Ben-Shabbat, who was in India on the invitation of his Indian counterpart Ajit Doval, also held a series of meetings with senior officials of Ministry of Defence, Ministry of Foreign Affairs and security organisation, a statement from the Prime Minister's media adviser here said. Prime Minister Modi and his Israeli counterpart Benjamin Netanyahu also spoke over phone during the visit of the Israeli NSA to New Delhi. Ben-Shabbat returned to Israel on January 15, on the Air India flight that flies through the Saudi Arabian airspace, the statement said. During his visit, the Israeli NSA discussed issues related to bilateral relations including the advancing of security deals, it said. Additional measures were agreed to on advancing security, technology and civilian-economic cooperation between Israel and India, it said. Ben-Shabbat is said to have briefed his interlocutors on regional issues, including "Iran's efforts to entrench itself militarily in Syria and its actions that undermine regional stability". He was accompanied by Israeli Ambassador to India Dr Ron Malka and Defence Attache Colonel Efraim Defrain in the meetings.